Funnyman Wyatt Cenac is taking on a new role this January, hosting the latest season of public TV channel World's AfroPoP: The Ultimate Cultural Exchange. Each AfroPoP episode showcases an independent film centered around the intriguing tales of the Diaspora and African culture. AfroPoP's upcoming films range from a documentary on the pioneering 1980s alternative-rock group Fishbone to one filmmaker's introspective journey through Brazil. 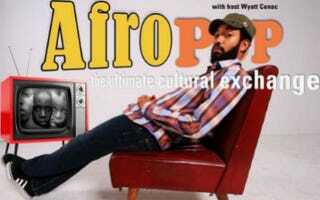 AfroPoP: The Ultimate Cultural Exchange airs every Sunday on the 24-hour public documentary channel World. Previous recommendation: Fla. Festival Celebrates Legacy of Black Novelist.